After a thrilling 55-52 Belk Bowl win over Texas A&M in Bank of America Stadium right down the street in Charlotte, the football team looks to continue that dominance this year as they take on some of the best teams in college football in the ACC Atlantic Division. The team is visiting Tulane prior to starting a five-week homestand against Towson, Boston College, Notre Dame, Rice and Clemson. The homestand is followed up with visits to Florida State and Louisville before returning to host Syracuse at home. After visiting NC State, the Deacs host their last home game against Pittsburgh, and then head to Duke to close out the year. 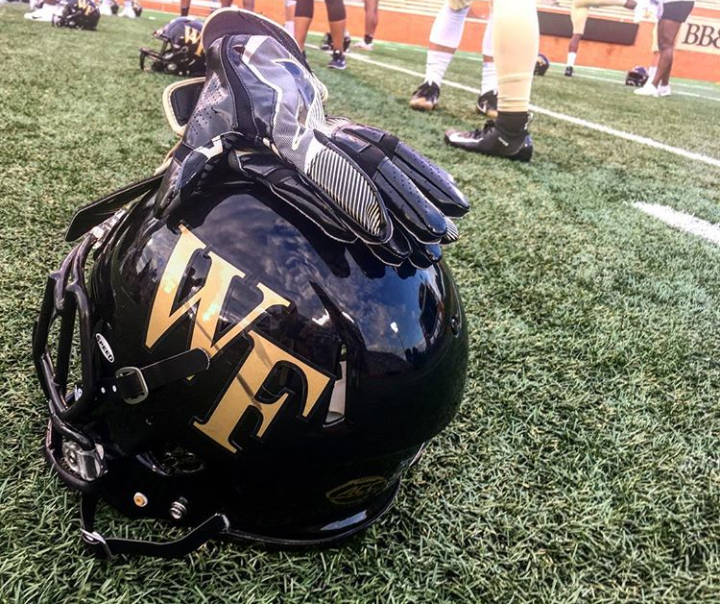 The national S&P ranking has Wake Forest at 34th nationally (24th on offense and 59th on defense), and at 6.7 wins. This is slightly over some of the other projections, but keep in mind that six wins makes a team bowl-eligible and that this is just a projection. However, I think we will see this team doing more than just becoming bowl-eligible. The vibe of Wake Forest football now simply expects a bowl trip, and they are capable of much more. In a highly competitive division like the ACC Atlantic, every game matters, and the standings can take drastic turns week to week. Tulane and Towson are winnable and needed confidence boosters. If those go well, there are good odds for a win against a new-and-improved Boston College team when they visit Winston-Salem. The Notre Dame game will be a litmus test of what caliber this team really is. An always formidable team, Notre Dame also posts the advantage of having a former Wake Forest coach, although that goes both ways. The Rice game over Parents’ Weekend should show all the parents a fun, winning environment. With full confidence in this year’s team, Clemson is Clemson, so that will definitely be a tough game to take. Coming off of the bye week, I believe the Deacs will pick up a road game versus either Florida State or Louisville and draw some national attention. The Syracuse game should go well after last year’s shootout at the Carrier Dome. This will probably be a lower-scoring affair, but hopefully a similar, victorious outcome. The visit to NC State will be a toss-up, especially given the shorter rest period after the Syracuse game, but I’d bet on a close game to the finish. Pittsburgh should be relatively easily managed at home, and the Duke game will be approached with fire after Duke handed them a loss in Winston-Salem to close out the season last year. If I were to bet, I’d say we start 3-0, become bowl eligible with a few games to spare, and at the least, split even in the division. I wouldn’t count our a big upset, whether at home or on the road. This team is going to surprise some people. The biggest change on game days will be a new quarterback, albeit also number ten, but Sam Hartman takes over after a stellar senior year from now-Jets quarterback John Wolford. Protected by four fifth-year seniors on the offensive line and plentiful receiving targets, Hartman comes into the pocket under much different circumstances than Wolford did his freshman year. Although young, Hartman is more than capable of leading this team to where they desire to go. He became the unsung leader of the Oceanside Collegiate Academy football team after following his coach, Chad Grier, down to Charleston for his senior year prior to enrolling early at Wake Forest. Hartman told us that he is looking forward to seeing the whole team exceed expectations this year and, as a freshman, really embracing every game is important. In terms of team goals, Hartman made it clear that the tone is one of a winning culture, and no one expects anything less than 100 percent every day. “We want to go all the way and win the ACC. This year is the year to make a statement and prove that Wake Forest is a football school,” Hartman said. In addition to the highly seasoned offensive line, Greg Dortch and his elite corp of wide receivers look to find the end zone a bountiful amount of time this season. The loss of Tabari Hines is not much of a factor in anyone’s minds when looking at the likes of Dortch, Alex Bachman, Scotty Washington, Sage Surratt, Jaquarii Roberson and Waydale Jones lining up on game days. Extremely skilled and athletic RBs Cade Carney, Matt Colburn and Christian Beal should torch the backfield to compliment the WRs skills this year. A huge loss was incurred at the tight end position in ACC legend Cam Serigne. Jack Freudenthal looks to aid this year in both the blocking and receiving game, as Serigne did so well. Out of the whole offense, Dortch garners the most national attention, and for good reason. Dortch was forced to cut his outstanding freshman season short due to injury and looks to terrorize defenses even more this year, now fully healthy. Named to plentiful preseason watch lists, he plans on bringing Wake Forest to the very top. On the defensive side of the ball, the losses of Duke Ejiofor and Jaboree Williams are definitely felt, but a strong veteran corp with four redshirt seniors in Demetrius Kemp, Zeek Rodney, Willie Yarbary, and Cameron Glenn highlight the experience of this team. Essang Bassey also looks to follow up a great sophomore year in which he received honorable mention in the ACC at cornerback, and Amari Henderson will aim to match his levels of success at the cornerback position as well. Meanwhile, there are some big losses at defensive end and linebacker. Justin Strnad seems to be in the path for a breakout year, starting at BUCK Linebacker, while some younger players, like DJ Taylor, got the edge to start at MIKE Linebacker. At Defensive End, “Boogie” Basham Jr. has seen drastic improvements and looks to be in great shape starting at defensive end this year. Two freshman to watch on the defensive side of the ball are Dion Bergan and Ryan Smenda, who are both second on the depth chart in their respective positions while in their true first season on campus. For special teams, Dom Maggio returns to punt, and is in line for another great year of doing so. The field goal kicking seems to be in an everlasting competition between RS freshman Zach Murphy and freshman Nick Sciba. Even once a starter is named, I have a feeling this decision could go back and forth even within a game. Dortch and Bachman look to be sharing the punt and kick return duties, and both are quite explosive with an open field and the ball in their hands. In all, this year looks to be another great one for Wake Forest fans near and far. The biggest question was that of the quarterback, especially with Hinton suspended, but the team and staff has confidence in their lineups now and are looking forward to opening the season at Tulane on Thursday, Aug. 30 and going from there, one week at a time.